1. Transmitter KXT15, 1 pcs. 2. Connecting cord PJ15p (RCA / 2x4mm banana, 1.5m), 1 pcs. 3. Crocodile clips, 2 psc. 4. 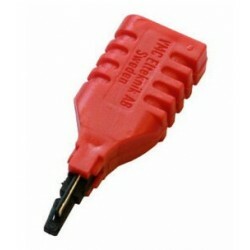 Speech cord PJ15 (RCA / banana plugs, 1.5m), 1 pcs. 5. Headset HM12 (3.5 mm plug), 1 pcs. 6. Users manual in English, Finnish, Swedish or Russian, 1 pcs. 7. Carrying case KPP5 (nylon, 240x130x180mm), 1 pcs. 1. Receiver KXR15, 1 pcs. 2. Speech cord PJ15 (RCA / banana plugs, 1.5m), 1 pcs. 4. Probe cord AK1 (BNC/BNC, 1.2m), 1 pcs. 5. Capacitive probe KA6, 1 pcs. 6. Inductive probe LA5, 1 pcs. 7. Headset HM12 (3.5 mm plug), 1 pcs. 8. Users manual in English, Finnish, Swedish or Russian, 1 pcs. 9. Carrying case KPP5 (nylon, 240x130x180mm), 1 pcs.